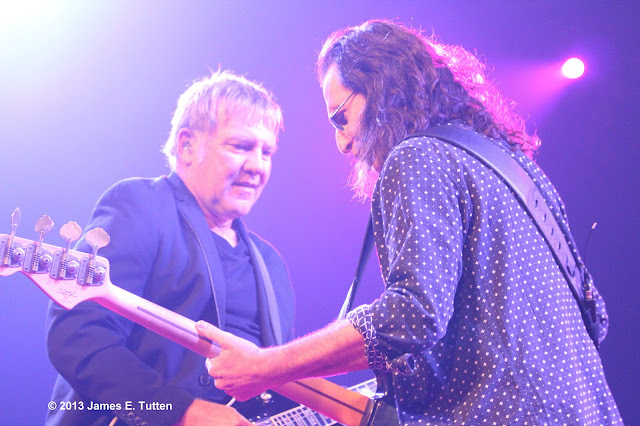 ORLANDO — Tremendously talented power-rock trio Rush, put on a clinic of musical mastery, as they brought their “Clockwork Angels Tour” to the Amway Center in Orlando on Sunday, April 28, just 10 days after they were officially inducted into the Rock and Roll Hall of Fame. This latest tour in support of the 20th album “Clockwork Angels,” showcased many of their new recordings like “Halo Effect,” “The Garden,” and “Caravan.” While their musical feel still has a strong progressive-rock theme, overall the group’s current sound harkens back to their heavier rock and roll roots that originally helped them breakout back in the late 1970s. Opening the show with the classic number “Subdivisions,” it was clear from the start that this was the same Rush that fans young and old have grown to love and adore. Among all the visual extras and pyrotechnics seen on tour, one undeniable fact is made abundantly clear throughout this concert; the standout instrumental skill displayed by each member of Rush is their paramount trait. 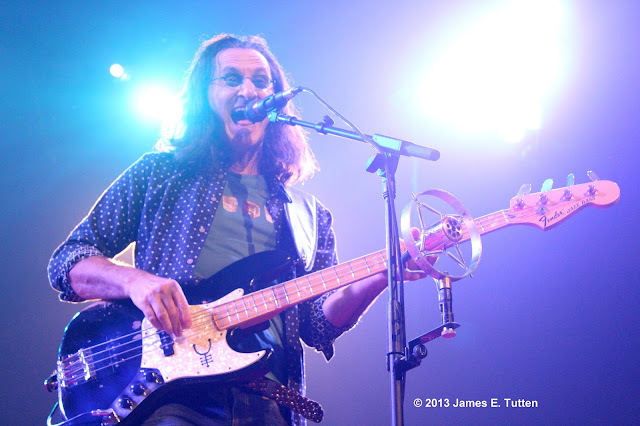 Lead singer and bassist, Geddy Lee, can not only keep perfect time with his driving bass rhythms and impressive solo features, but his unique high tenor vocal stylings maintain a masterful pitch and control that clearly define the overall sound of Rush. 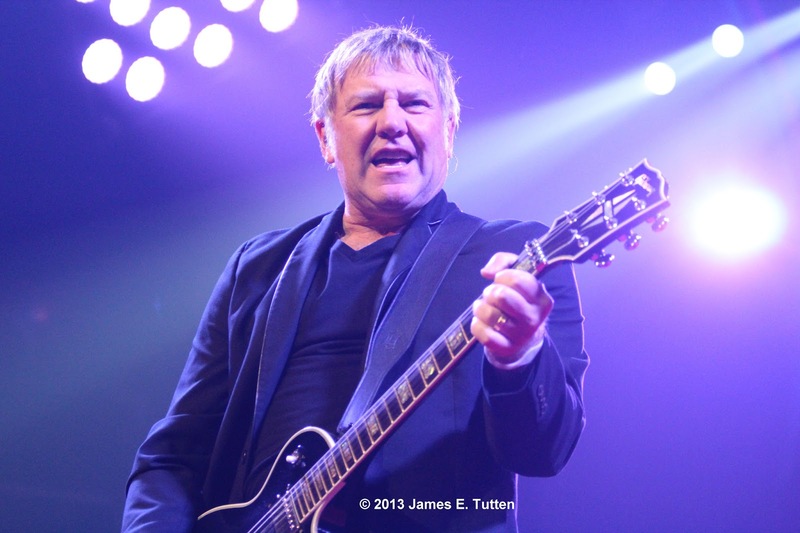 When listing to any Rush song it doesn't take long to notice the brilliant composition and superior music coming from the Gibson Les Paul wielding guitarist Alex Lifeson. He shined bright during the fast-paced riffs featured in songs like “Analog Kid,” and iconic guitar solos every time he was featured throughout the night. 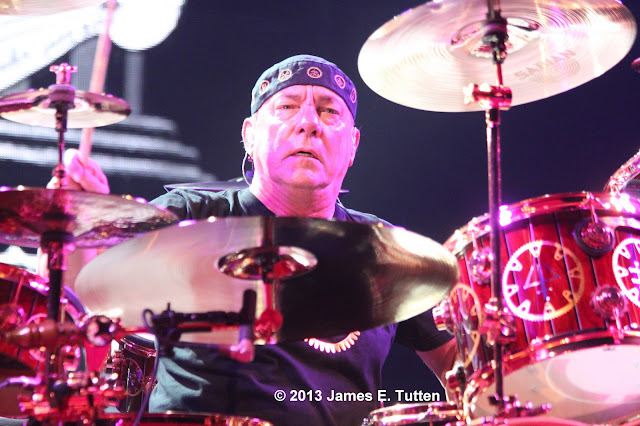 It’s hard to fully describe the awe inspiring talent seen with Neil Peart on the drum set. He is highly regarded by fans, musicians and fellow percussionists as one of the greatest drummers of all time. Peart’s speed, concentration, and rhythmic creativity are astounding and leave audience members in a state of wild cheering after each of his long solos. An above head view of the drummer was displayed on a large monitor during his solos that helped to showcase this Leonardo da Vinci of the drums and his work of art wraparound drum kit. Rush performed 25 songs as part of this concert including two encore songs “Tom Sawyer” and “2112,” but the one song that stood out above the rest in crowd reaction was their classic “The Spirit of Radio.” The invisible airways inside the Amway Center truly crackled with life, as singing fans cheered and celebrated this classic song that help to define the band and cement their success. Another notable occurrence in the crowd was the large number of young fans in attendance for a band that has been around since the late 1960s. “It’s everything a ‘Rush dad’ ever dreams of, I was raised on Rush so my son should be too,” said Aaron Glassman, 41, who brought his 10-year-old son Gabriel to this show in Orlando and Rush’s previous show in Fort Lauderdale. Inspired by many facets of philosophical concepts and random science fiction fun, Rush is an artistic group that is hard to simply define. It can easily be said that their sound isn't afraid to go against the grain and provides a voice for the individual looking to separate themselves from the masses, not in a form of isolation, but rather a refined definition of true independence and self-expression.